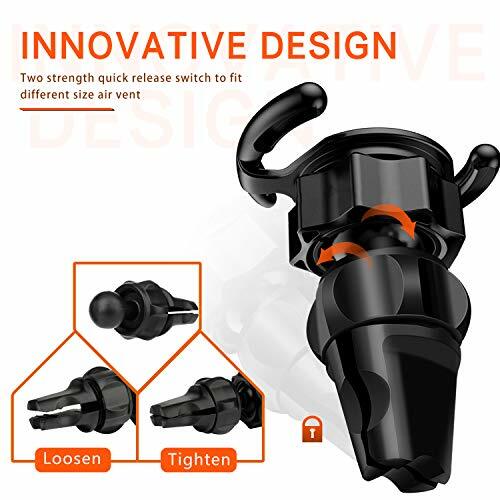 Durable quality: Its high density, low weight, small size, strong grip and reliable quality ensure that it will not easily fall during driving. Flexible design: The two designs of wide and narrow are compatible with various sizes of the cell phones and vent leaves. 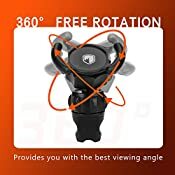 360-degree rotation: The adjustable 360-degree rotation design allows you to choose the best viewing angle, and you can easily rotate your phone or display at any angle with one hand. 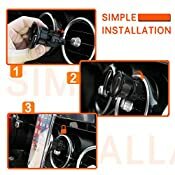 Simple installation: one-hand operation, easy to install, no tools required and relaxed experience. 3.Carefully wiggle to check if grip is firm, if not switch lock to the side labeled "II" for extra grip strength. 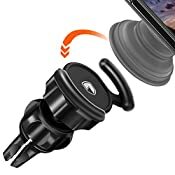 4.Confirm that the pop mount at back of phone is compressed then slide down on the Car mount holder to Clip for better results. 5.Adjust phone viewing angle and make sure to twist the nut tight behind phone to maintain desired position. 【DESIGNED FOR POP MOUNT】 The delicate appearance fits perfectly into your pop mount and holds your cell phone device firmly. Compatible with All Smartphones. 【STABLE AND RELIABLE】 The clip can be fit vent leaves of different sizes. 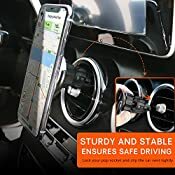 You do not have to worry about falling of car holder and cell phone even when driving pickup truck on the bumpy road. The Ultra-stable features make you feel free to drive safely. 【360° ROTATION】 It allows you to rotate your smartphone and display by 360° to give you the best view. 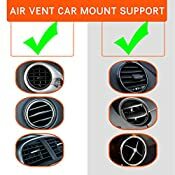 No matter how you rotate it, the car holder fixed to the exhaust port of the car will keep motionless. 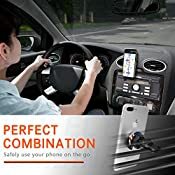 【SAFE DRIVING】 One-hand operation, easy to install, and no tools required. You can enjoy music, movies and GPS Navigation with just one finger, avoiding distracted driving. With its mini body and strong holding power, it will not block your sight at all. 【WARRANTY&EXCELLENT SERVICE】 24 hours professional service center, 30 days money back warranty, 12 months quality guaranteed and 365 days technical supported. Excellent customer service brings you no worries after purchase. Please feel free to reach us if you have any question or dissatisfaction.